The Slumberjack® Tough Cot could be the only cot you ever own! Built with a steel frame and 600D polyester for extra toughness, it boasts a 350-lb. weight capacity and delivers superior comfort. The folks at Slumberjack know you take camping seriously! Setup is a breeze, and it packs away easy. 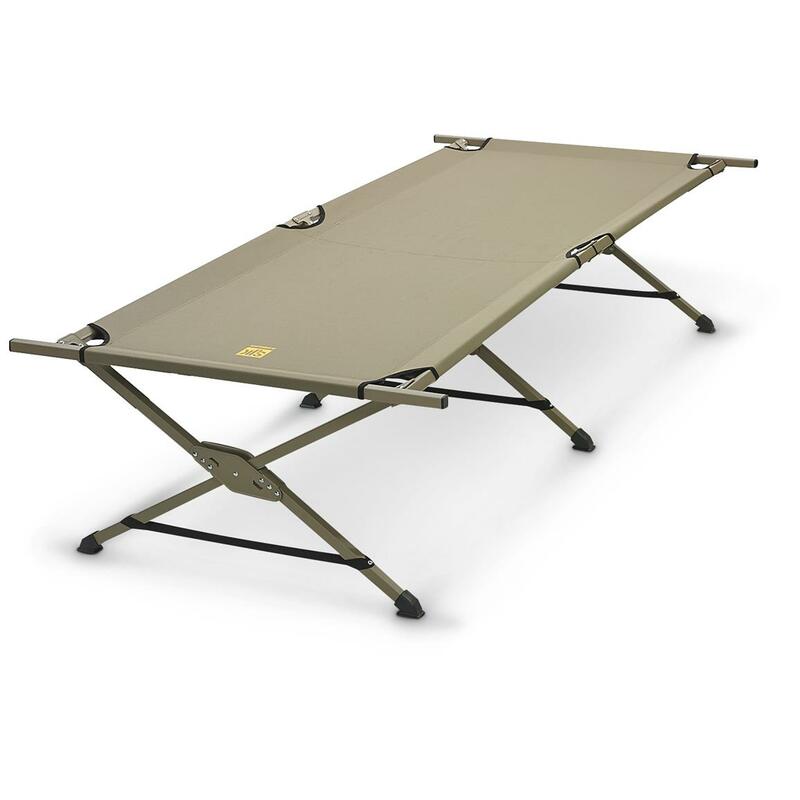 Some cots are so hard to set up, you'd rather sleep on the hard ground. Not the Slumberjack Tough Cot! Its innovative design makes for quick and easy assembly, and at the end of the trip, it packs up just as fast into the included carry bag... ready for your next adventure. Measures 82" x 32" x 19"h.
Dimensions: 82" x 32" x 19"h.
Slumberjack Tough Cot, 350 lb. Capacity is rated 5.0 out of 5 by 4. Rated 5 out of 5 by Steve from very sturdy cot easy setup, strong and I hope durable. Nice size. Rated 5 out of 5 by Money from Great Product Excellent product, very sturdy and easy setup. I had a great night sleep even while using CPAP. Rated 5 out of 5 by VEW89506 from Nice sturdy Cot It is built very well and unfolds quickly. Putting it back in the carry sack was easy too.